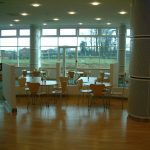 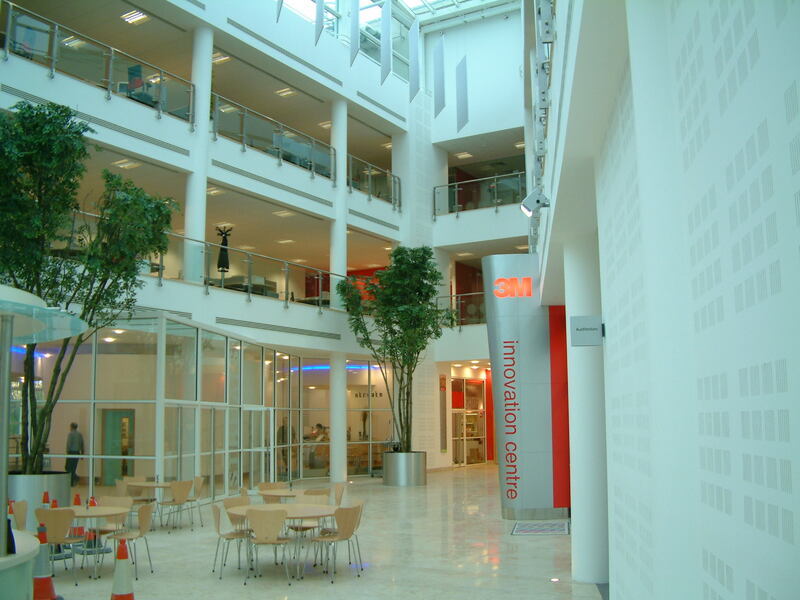 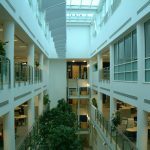 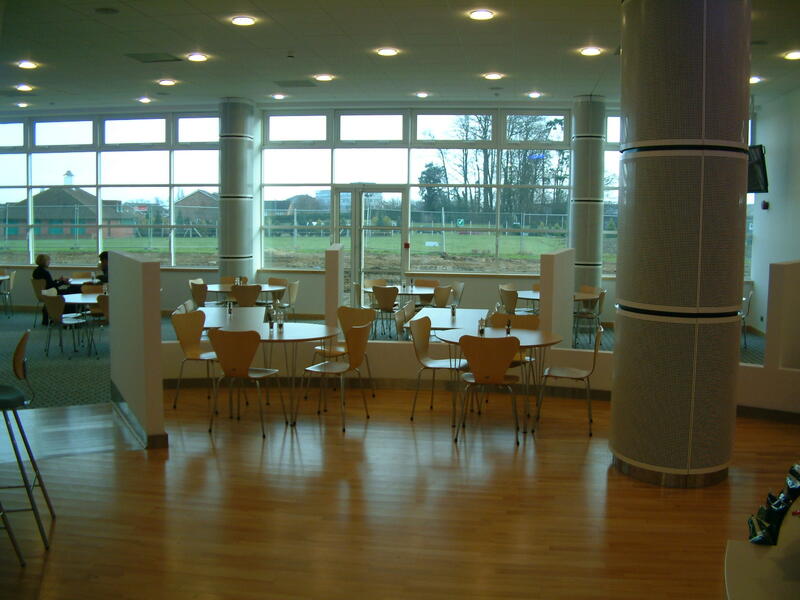 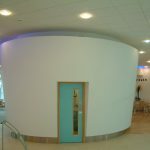 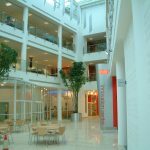 In 2004 3M relocated from their old premises in the heart of Bracknell to a new 50,000 sq ft purpose built head office building on the outskirts of Bracknell. 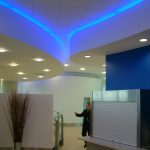 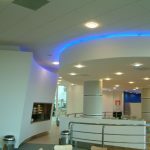 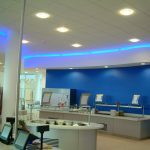 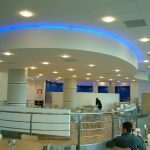 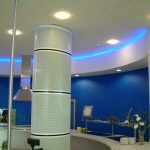 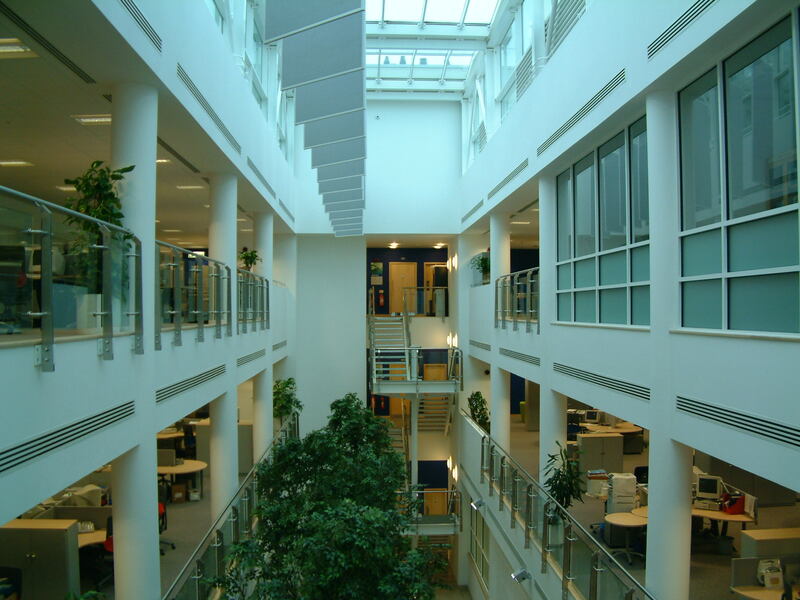 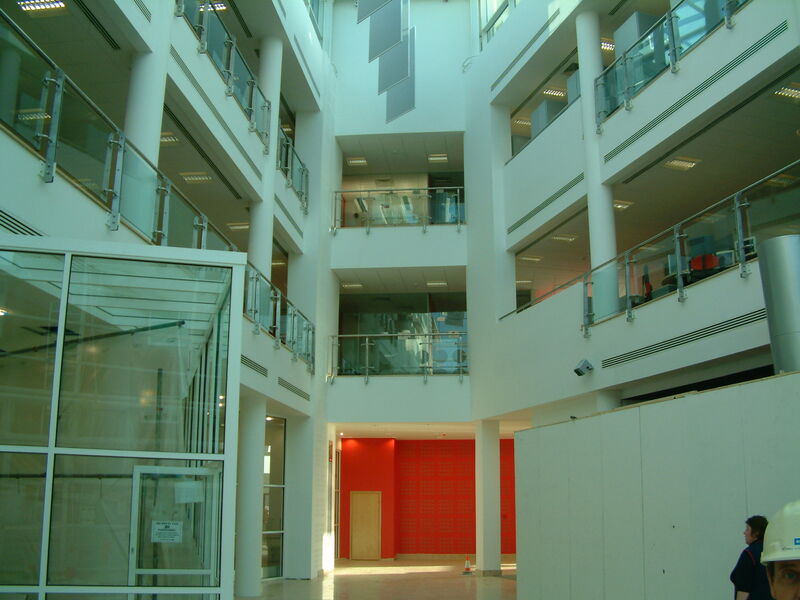 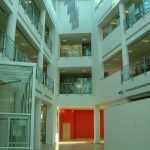 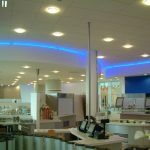 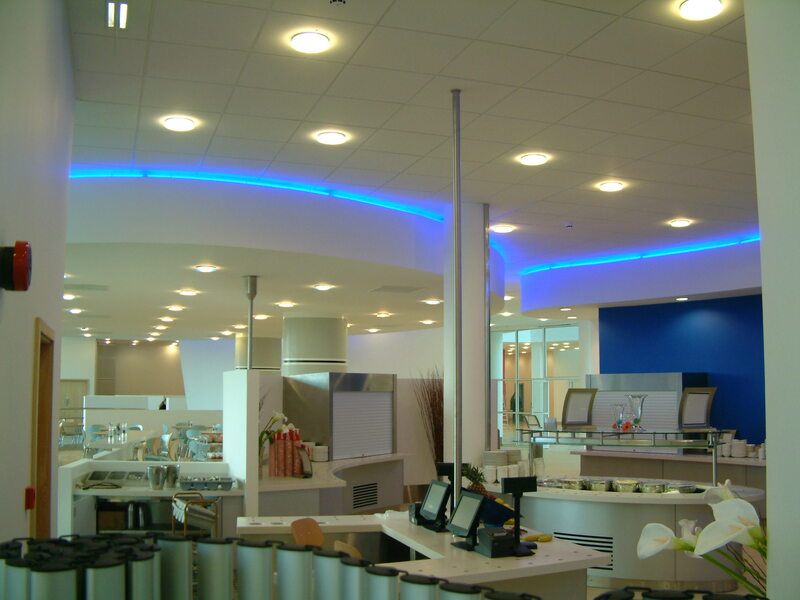 The project consisted of the installation of 15,000 m2 of USG Sonatone Fineline tiles and USG DX15 Grid, Black USG grid and tiles and Ecophon Focus D Concealed ceiling systems were installed to specialist areas. 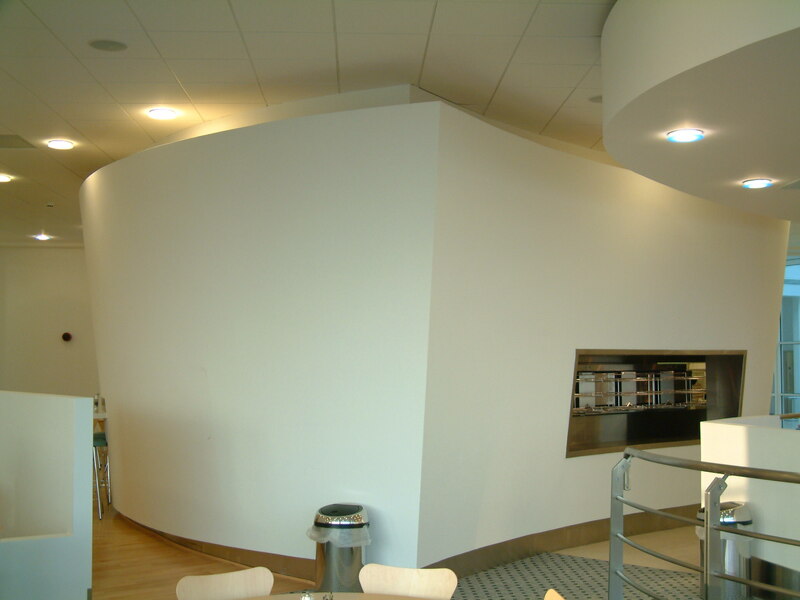 Lafarge Drywall and Drylining systems were installed to the core areas and perimeter linings of the building. 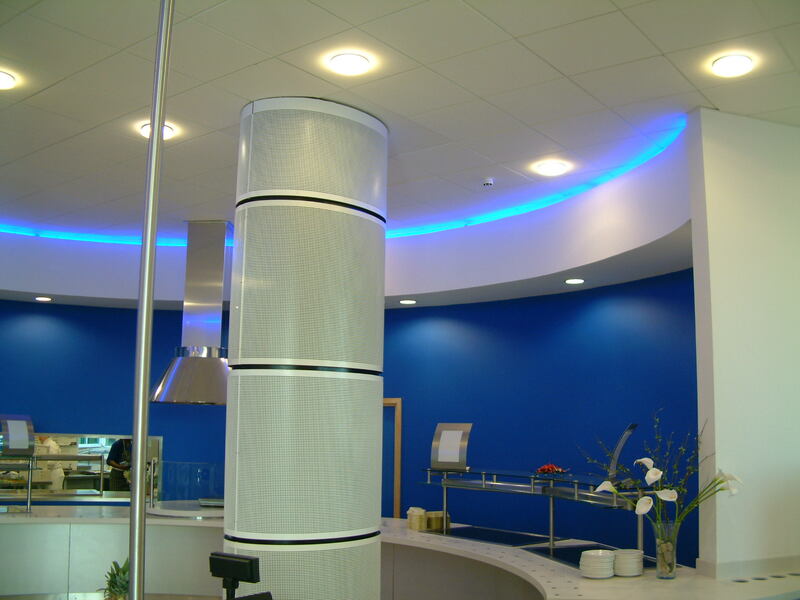 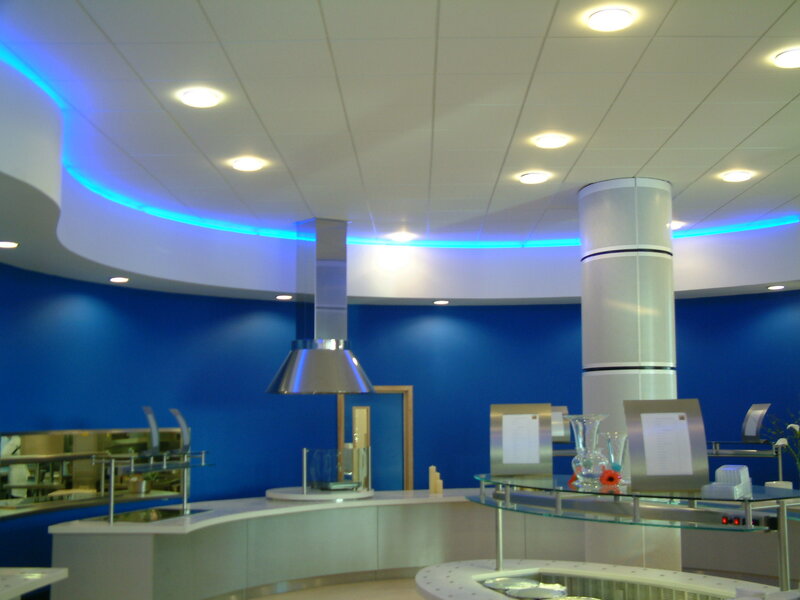 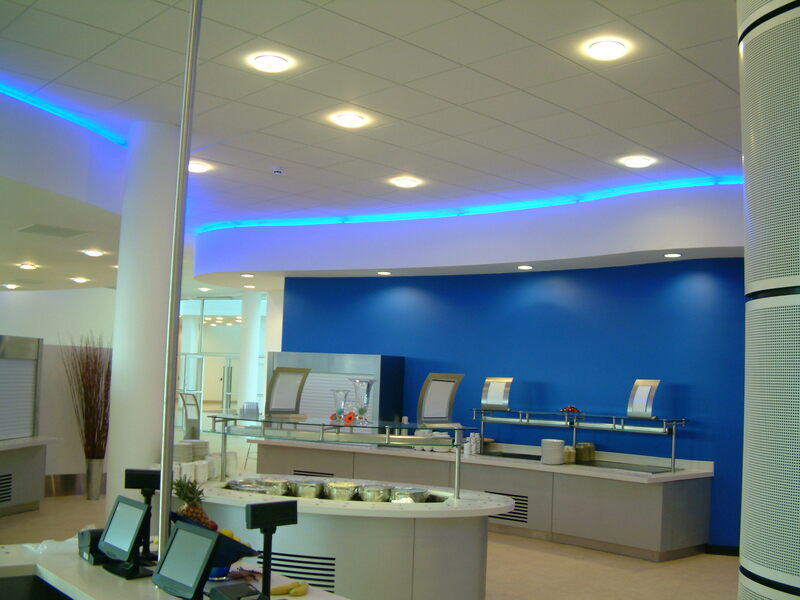 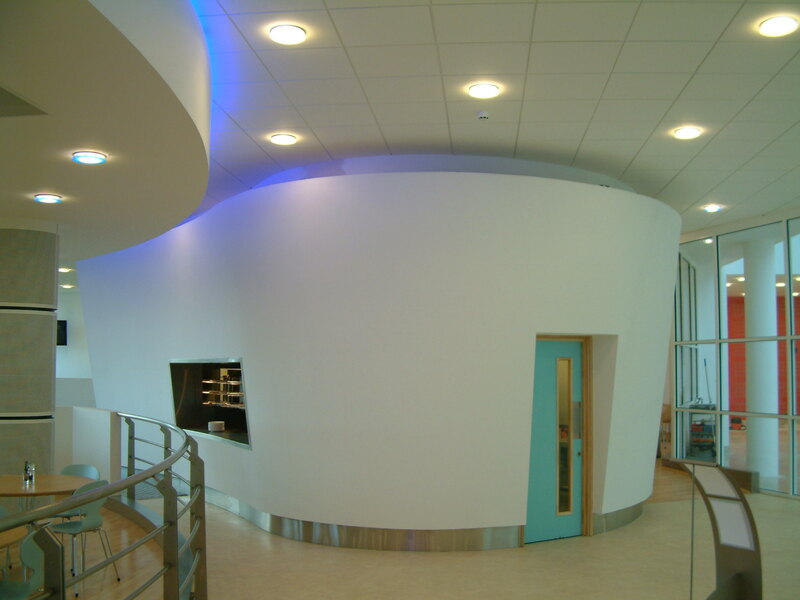 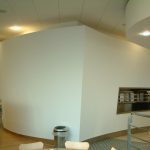 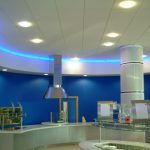 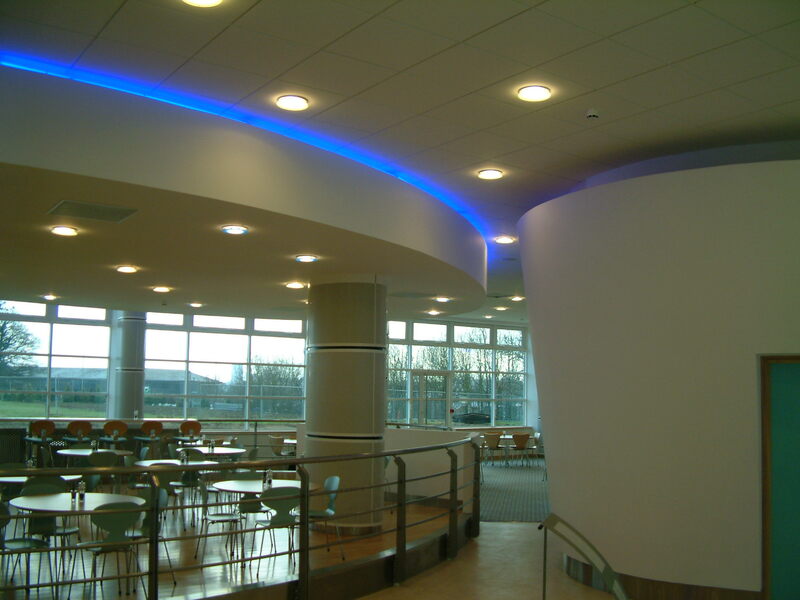 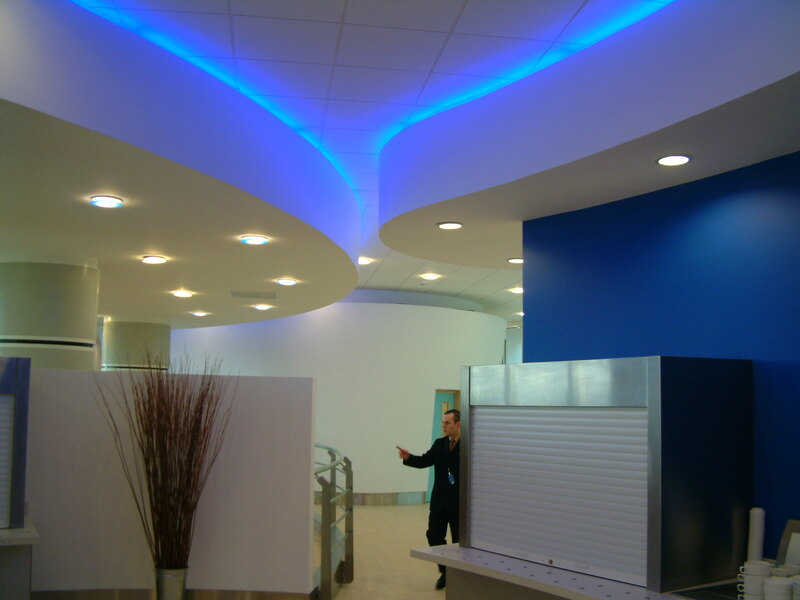 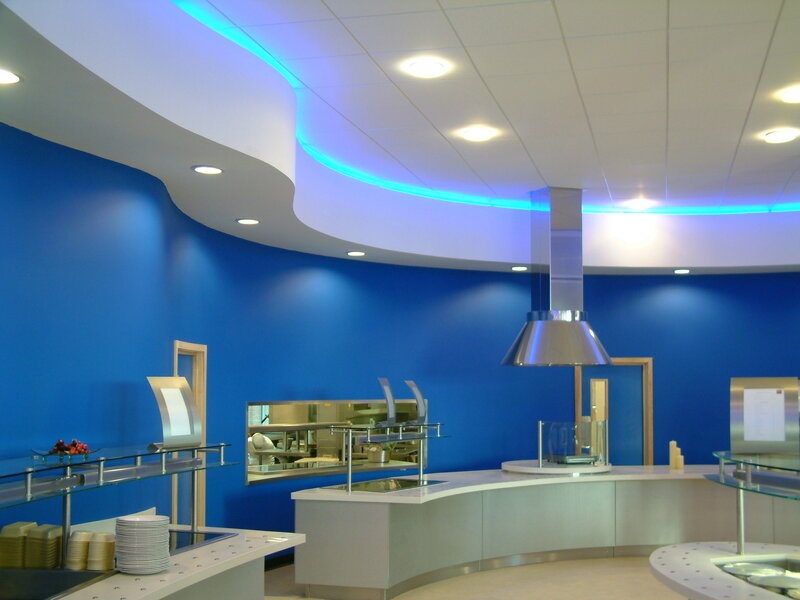 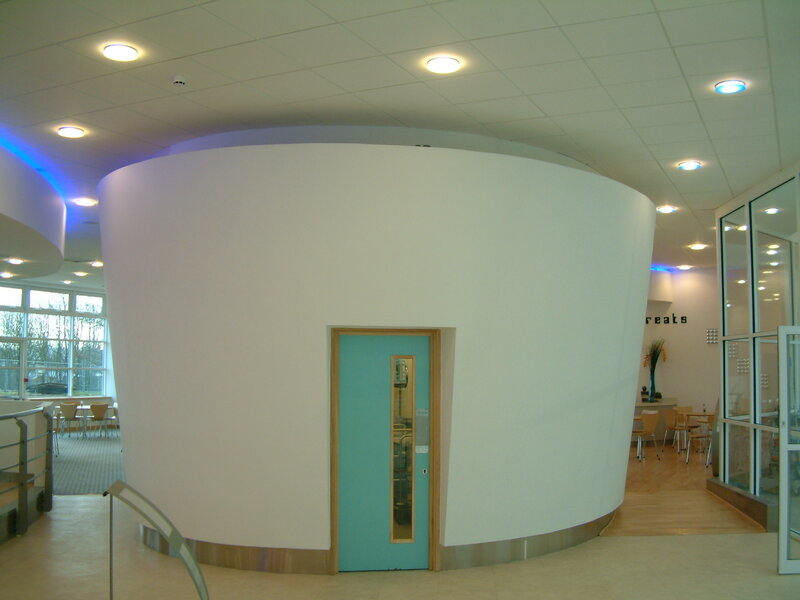 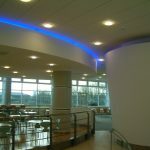 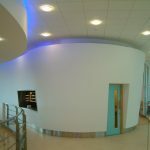 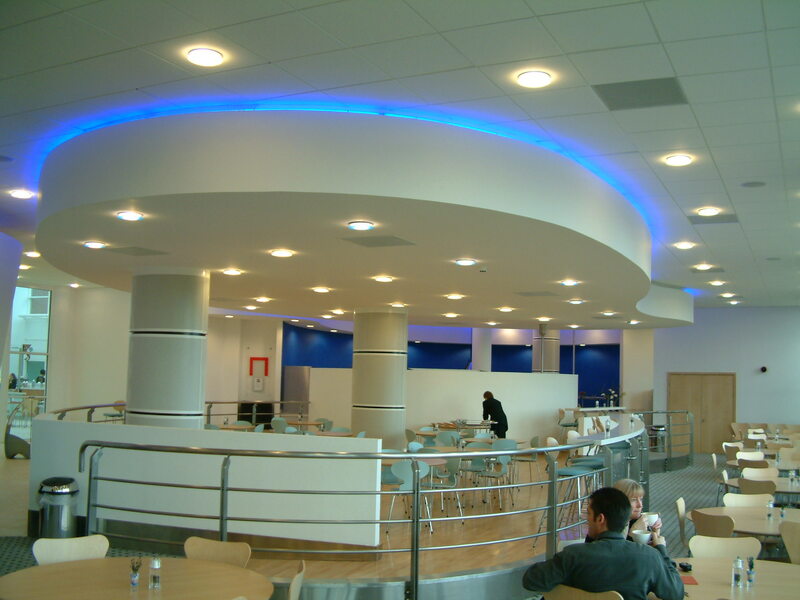 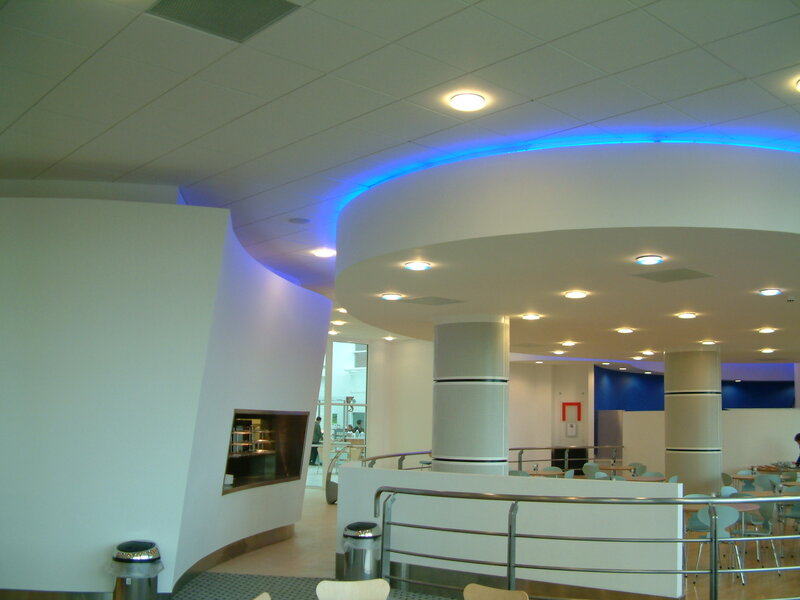 Curved bulkheads, lighting troughs and feature walls were constructed in the new restaurant and Gyptone Line 6 Boards were used as a feature wall in the atrium areas. 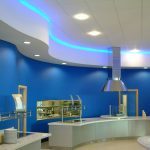 For further information, please complete our form.